While I wrote this post last Christmas, I wanted to share it again because the contrast between Mary’s question and Zachariah’s question always challenges my faith. Have you every asked God “how”something He has said to you would ever come to pass? Two biblical characters, both of whom received angelic visitations before the birth of Christ, asked that same question. And God’s totally opposite response to both “how” questions may surprise you. Zachariah’s story is found in Luke 1:5-25. His wife Elizabeth was barren and both had prayed many years for a child. One day when Zacharias was serving on duty at the temple, an angel of the Lord appeared to him and told him that God had heard his prayers and that his wife would bear a son who would be named John. Zachariah should have been ecstatic. His prayer had been heard and was finally going to be answered after all these years. But Zachariah’s response to the angel was: “How can I be sure of this? I am an old man and my wife is well along in years.” Even though Zachariah had prayed, the wait time had been long and perhaps he had begun to doubt. And maybe that doubt was even tinged with a little bitterness. “How will this be,” Mary asked the angel, “since I am a virgin?” Zachariah and Mary both asked the angel the “how” question, but one received God’s judgment, while the other received His favor. What was the difference? God doesn’t mind our “how” questions when we ask in faith, trusting that He will fulfill His Word spoken to us. It’s the attitude of our heart that makes the difference. This Christmas season ask God to give you a heart like Mary’s—one that will believe and trust in spite of your “how” questions. Have you every asked God how something He has said to you would ever come to pass? Two biblical characters, both of whom received angelic visitations before the birth of Christ, asked that same question. And God’s totally opposite response to both how questions may surprise you. More and more our Thanksgiving holiday has been eclipsed by the commercial focus on the upcoming Christmas season. By October, merchants line their shelves with Christmas goods, and TV and newspaper ads remind us that Black Friday and Christmas are just around the corner. Many of us have heard the analogy of God’s fire likened to the process of refining gold–removing the dross so that in the end we can be pure gold–reflecting God’s very nature. 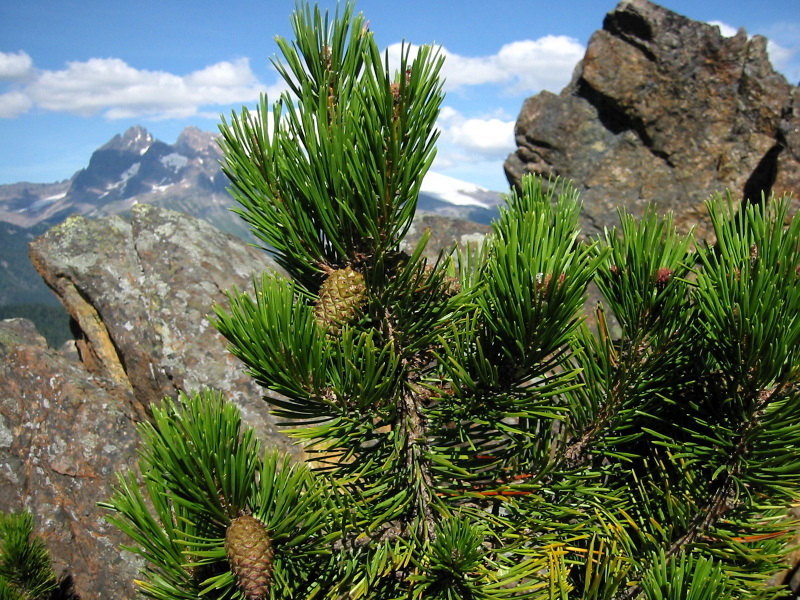 But I doubt many of us have heard of the Lodgepole Pine. The cones of this tree have a layer of resin and woody tissue that stick the cone scales together. The seeds are locked in tight and the cones can’t open unless they’re exposed to VERY high temperatures–the type of temperatures that forest fires generate.